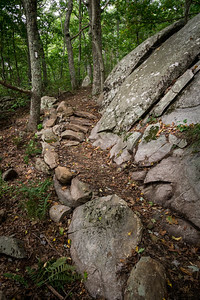 Rock Wall on the Appalachian Trail in the James River Face Wilderness Area. April 2011. 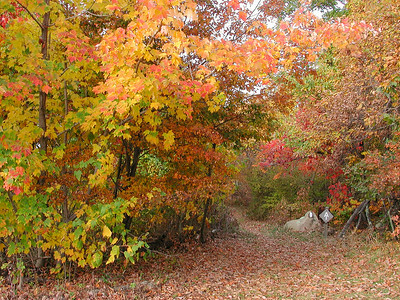 An Autumn view of the Appalachian Trail where it crosses over the Blue Ridge Parkway at Harvey's Knob in Virginia. October 2001. 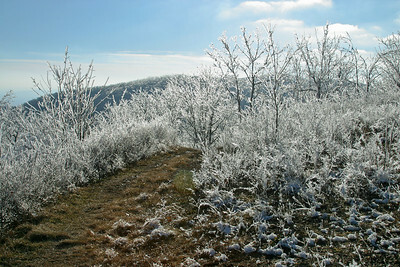 Rime ice formations along Tar Jacket Ridge on the Appalachian Trail in Virginia. January 2003. 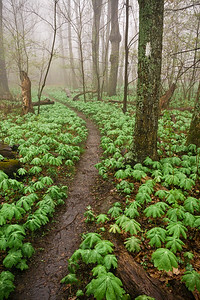 Mayapples at Thunder Ridge on the Appalachian Trail in Virginia. May 2004. 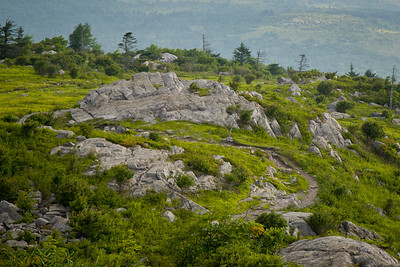 Appalachian Trail near Wilburn Ridge in the Mt. 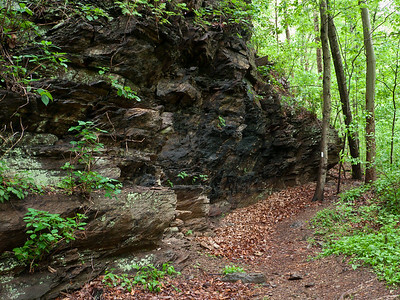 Rogers National Recreation Area. July 2007. 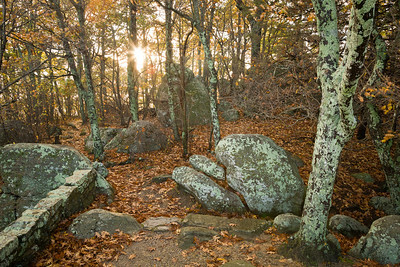 Autumn sunrise on the Appalachian Trail at Thunder Ridge Overlook in Virginia. October 2007. 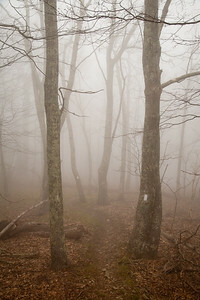 Morning Fog on the Appalachian Trail near Thunder Hill where it intersects the Blue Ridge Parkway in Virginia. April 2010. 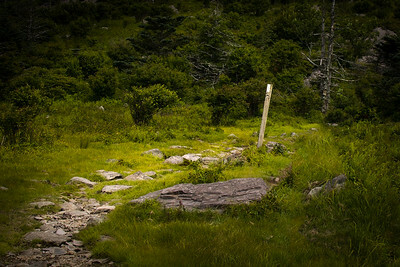 Appalachian Trail at Thunder Ridge Overlook on the Blue Ridge Parkway. March 2011. 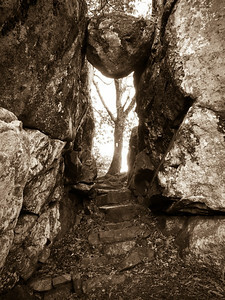 Guillotine II, Appalachian Trail in Virginia. April 2011. 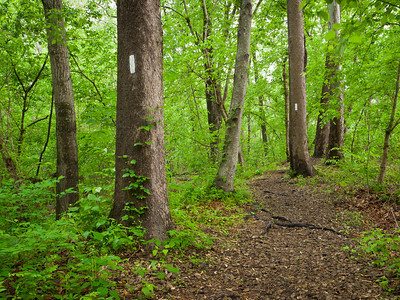 Spring on the Appalachian Trail in the James River Wilderness Area. April 2011. 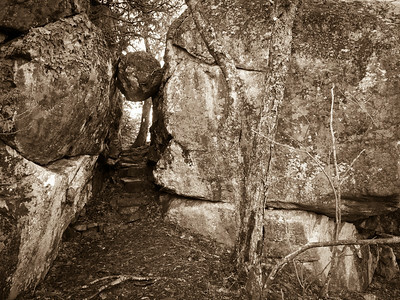 Guillotine I, Appalachian Trail in Virginia. April 2011. 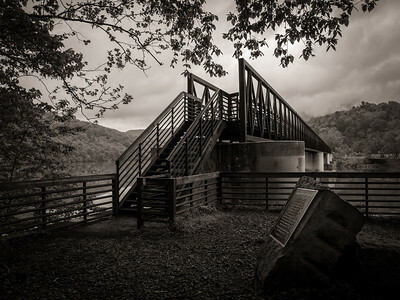 Foot Bridge on the Appalachian Trail on the south side below route 501 in Virginia. 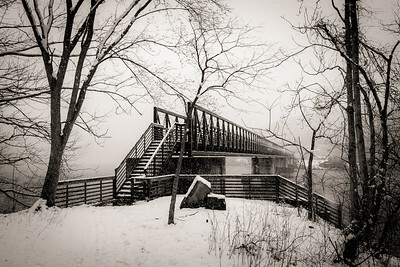 The Foot Bridge in Winter Storm on the Appalachian Trail just south of route 501 crossing in Virginia. The Foot Bridge spans the James River and is the longest foot bridge on the entire Appalachian Trail. 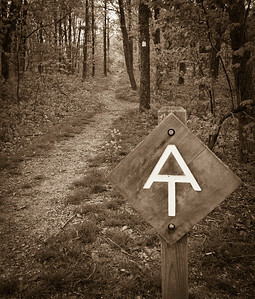 Appalachian Trail sign and blaze marker near Montvale Overlook on the Blue Ridge Parway in Virginia. The Appalachian Trail crossing the James River on the Foot Bridge in Virginia. 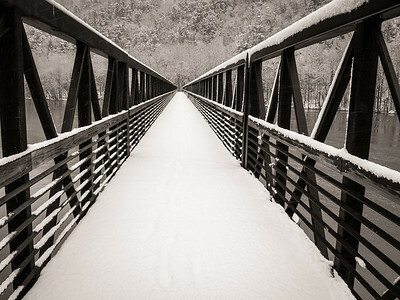 Crossing the Foot Bridge in Winter Storm on the Appalachian Trail just south of route 501 crossing in Virginia. The Foot Bridge spans the James River and is the longest foot bridge on the entire Appalachian Trail. 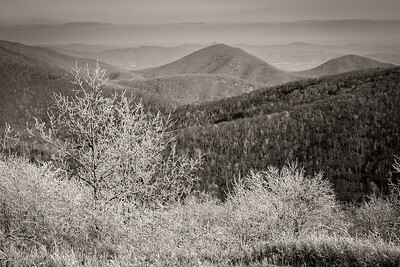 Ice-coated trees on Tar Jacket Ridge on the Appalachian Trail in Virginia. Appalachian Trail blaze in the Mt Rogers National Recreational Area. Appalachian Trail blaze in the Mt Rogers National Recreational Area. Black and white version. 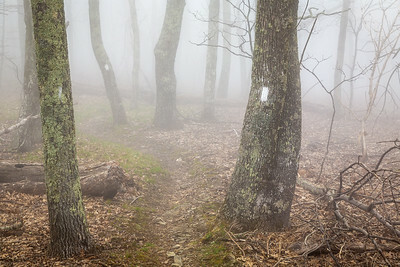 Spring on the Appalachian Trail in the James River Wilderness Area. March 2010. 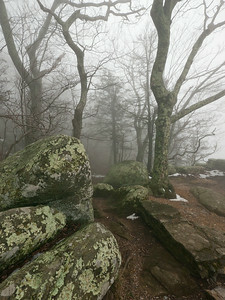 Fog on the Appalachian Trail near Thunder Hill where it intersects the Blue Ridge Parkway in Virginia. April 2010. Cove Mountain Shelter located on the Appalachian Trail in Virginia and maintained by the Natural Bridge Appalachian Trail Club. 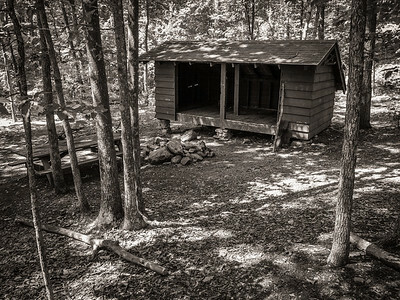 This shelter was originally the Marble Springs Shelter built in 1960, but it was moved in 1980 to its present location after the designation of the James River Face Wilderness. Bryant's Ridge Shelter is 7.0 miles north and Bobblet's Gap Shelter is 6.5 miles south. 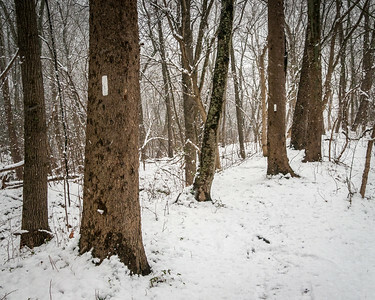 Appalachian Trail Thunder Hill relocation completed in summer of 2014 by Konnarock Crew.